Imagine yourself living in ancient Philippines. No Christianity, Islam, or any of the modern-day religions. Everything you need to survive is literally in front of you–food, clothes, a roof over your head, you name it. But while things around you seem to be in perfect order, a tidal wave of confusion starts forming in your mind. You’re now questioning your very own existence. Questions you never knew you needed to answer are flooding your brain: Why is the sky blue? Where did we come from? Who controls everything? But with no religion to rely on, how can you possibly make sense of everything? The answer, according to our ancestors, is Philippine mythology. Nope, we’re not going to talk about the whitewashed deities you grew up watching in movies. While almost everybody is familiar with Zeus, Athena, Aphrodite, Eros and other legendary gods of Greek mythology, it seems that we are all clueless about their Filipino counterparts. And that’s the reason why we’ve decided to write this article. Philippine mythology is much more important than you think. It gave our ancestors a sense of direction and helped them explain everything–from the origin of mankind to the existence of diseases. 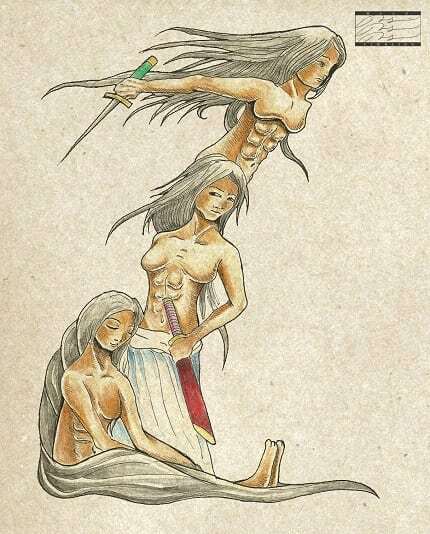 Bathala (creation god; [top]), a diwata (goddess/fairy, guardian of nature; [bottom]) and the Sarimanok (center) of Philippine mythology and folklore. Source: Wikimedia Commons. For them, it was not just a belief in invisible higher beings. 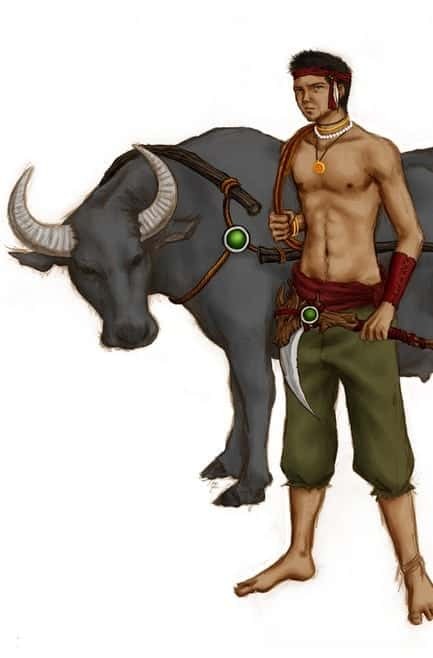 Philippine mythology defined who they were and what they’re supposed to do. There’s no one-size-fits-all rule in Philippine mythology. In other words, ancient Filipinos from every part of the country didn’t stick to a single version of creation story nor did they give uniform names to their deities. As a result, Philippine mythology became so diverse that studying it now is like staring at a list of gazillion Pokémons. It’s impossible to cover every deity included in the chart (remember, this is a blog post, not a book), but we’ll try to feature the most interesting characters and make this as comprehensive as possible–FilipiKnow style. Now, before we go straight to the most exciting part, it’s important that we first go back to the basics. What exactly is Philippine mythology? 12-14. Mayari, Hana, and Tala. 15-17. Lakanbakod, Lakandanum, and Lakambini. 18-19. Galang Kaluluwa and Ulilang Kaluluwa. 20-21. Haliya and the Bakunawa. Philippine mythology is a collection of stories and superstitions about magical beings a.k.a. deities whom our ancestors believed controlled everything. It’s part of the folklore, which covers all kinds of traditional knowledge embedded in our society: arts, folk literature, customs, beliefs, and games, among others. 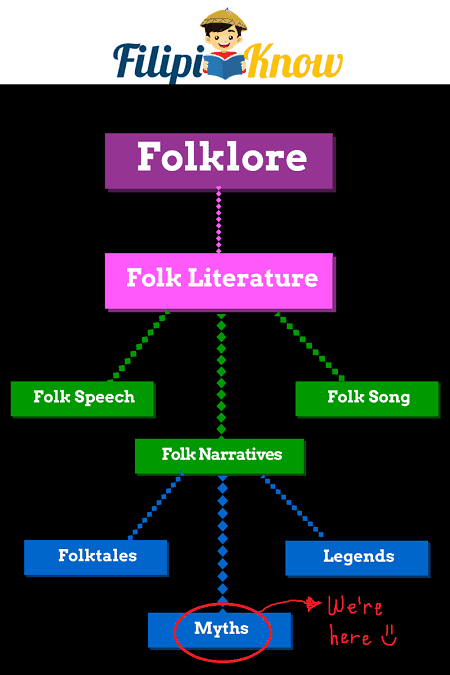 If you’re going to examine the folklore family tree (see the chart below), you’ll see the folk literature branching out into three groups: folk speech (which includes the bugtong or riddles and salawikain or proverbs), folk songs, and the folk narratives. Folk narratives are all about stories. They may be told in prose, verse, or both. They are further divided into three sub-categories: the folktales or kuwentong bayan, legends or alamat, and myths. The folktales are pure fiction, something that you use to entertain bored kids. The legends and myths, meanwhile, are assumed to be true by the storyteller. It’s the timeline that sets them apart. While legends happened in a much more recent time period, myths are believed to have taken place in the “remote past,” meaning a period when the world as we know it today wasn’t fully formed yet. Falling under this sub-category are the stories or adventures of deities, defined as supernatural beings with human characteristics. In this three-part series, you’ll get to know more about these interesting deities from Luzon, Visayas, and Mindanao. We’ll examine their stories, special powers, and other details that will tickle the curious child in you. Special thanks to the talented Pinoy graphic artists whose amazing works have helped bring these ancient deities back to life. Note: All images presented in these articles are a modern depiction of our ancient deities. History tells us that representations of these gods and goddesses created by our ancestors were burned by the colonizers. Therefore, the point of these illustrations is not to “westernize” Philippine mythology but to make it more appealing and engaging to the younger readers who ought to know more about their roots. Based on the early accounts of Spanish conquistador Miguel de Loarca, the ancient Tagalogs believed in one creator god. However, they didn’t have the power to communicate with him directly. An intercessor or “middleman” was required. This go-between could either be the spirit of their dead relative or any one of the lower-ranking deities. Ancient gods were usually worshiped in the form of adobe carvings called likha, while the dead ancestors were revered by offering foods or gold adornments to wooden images known as anito. Take note that the early missionaries differed on how they defined anito. Father Pedro de San Buenaventura, for example, insisted that the word referred to the act of offering (“naga-anito”) and not the spirit itself (“pinagaanitohan”). Aside from the deities and the souls of the departed, the ancient Tagalogs also venerated animals like the crocodiles, believing that these wild beasts contained the human souls. On the other hand, a tigmamanukan bird flying across someone’s path was considered an omen. Depending on the direction of its flight, this bird could foretell whether an expedition would end up a success or disaster. From his abode in the sky called Kawalhatian, this deity looks over mankind. He’s pleased when his people follow his rules, giving everything they need to the point of spoiling them (hence, the bahala na philosophy). But mind you, this powerful deity could also be cruel sometimes, sending lightning and thunder to those who sin against him. Interesting fact: Other indigenous groups in Luzon also believed in a creator god, but they didn’t call him Bathala. For instance, the Bontoks and Kankanays of the Central Cordillera considered Lumawig the “creator of all things and the preserver of life.” This deity later sired two pretty daughters–Bugan, the goddess of romance; and Obban, the goddess of reproduction. Bulul guardian figure of the Ifugao people. The bulul are anthropomorphical representations of rice divinities protecting the seeds and the harvest. Wood and sacrificial remains, northern Luzón Island (Philippines), 15th century. Source: Wikimedia Commons. Those from Benguet honored Apo as their highest-ranking deity. Ifugaos, meanwhile, called their own Kabunian. 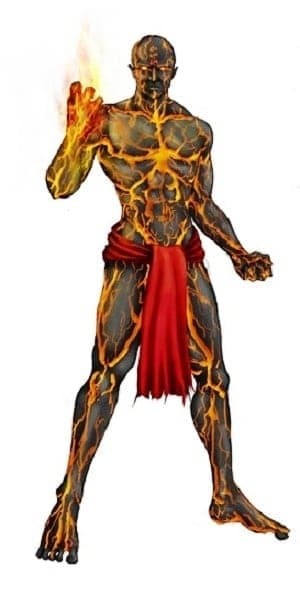 The latter was believed to have inhabited the “fifth region of the universe,” and was assisted by other minor gods, among them Tayaban, the firefly-looking god of death; Gatui, the god of practical jokes who was also blamed for causing miscarriages among Ifugao mothers; Hidit, gods of the rituals responsible for giving punishments to those who broke taboos; and Bulol (or bulul), the famous Ifugao rice god worshiped in the form of small wooden statues resembling their ancestors. Early people of Zambales, on the other hand, named their highest-ranking deity Malayari. Just like the Bathala of the Tagalogs, this creator god rewarded his worshipers with good health and harvest and punished the unbelievers with disease and famine. Lesser divinities also assisted Malayari in carrying out his tasks, among them Akasi, god of health and sickness; Manglubar, god of powerful living whose task was to “pacify angry hearts”; and the guardian angel Mangalabar, the god of good grace. If Bathala was the boss, the other lesser deities who lived with him in the sky were his assistants. Each of these lower-ranking gods and goddesses had specific responsibilities. One of them was Idianale (Idiyanale or Idianali in other sources), the goddess of labor and good deeds. There are varying accounts as to what specific field Idianale was worshiped for. 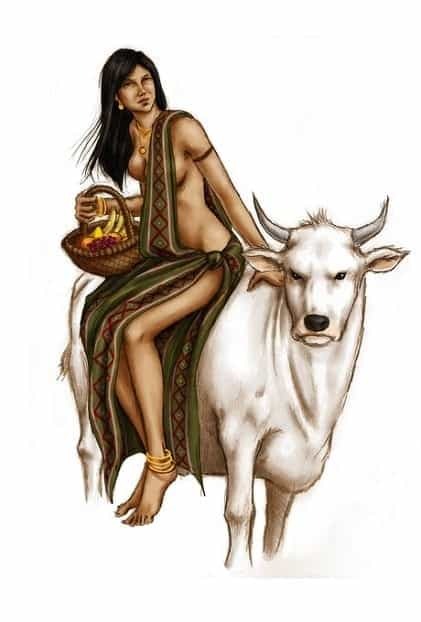 Historian Gregorio Zaide said that Idianale was the god of agriculture, while other sources suggest that she was the patron of animal husbandry, a branch of agriculture. Idianale married Dumangan, the god of good harvest, and later gave birth to two more Tagalog deities: Dumakulem and Anitun Tabu. 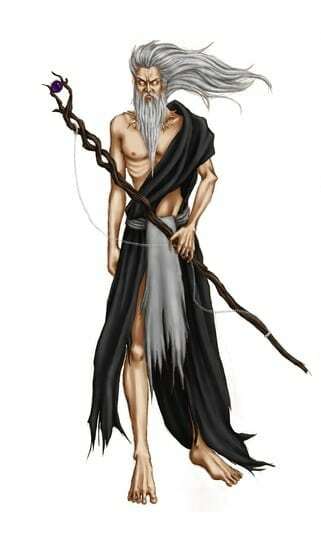 Dumangan was the Tagalog sky-god of good harvest, the husband of Idianale, and father to Dumakulem and Anitun Tabu. 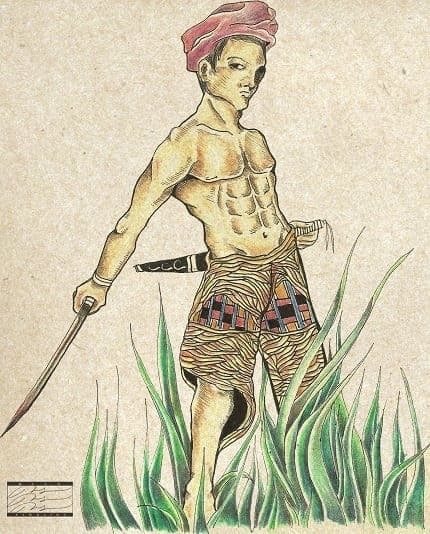 In Zambales culture, Dumangan (or Dumagan) caused the rice to “yield better grains.” According to F. Landa Jocano, the early people of Zambales also believed Dumagan had three brothers who were just as powerful as him. Kalasakas hastened the ripening of the rice stalks while Kalasokus was responsible for turning the grains into yellow. Lastly, the deity Damulag protected the flowers of the rice plants from the destructive hurricanes. 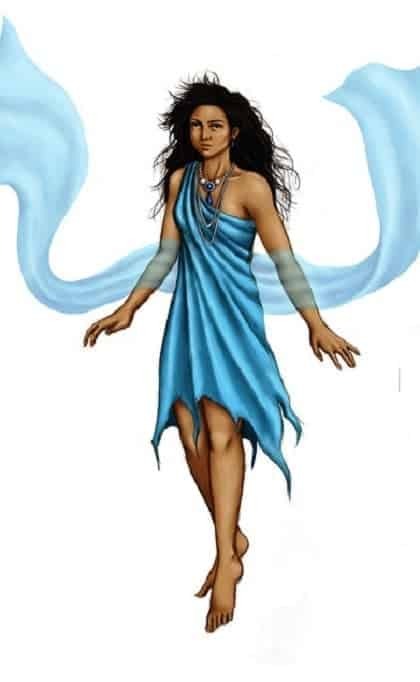 Among ancient Tagalogs, Anitun Tabu was known as the “fickle-minded goddess of the wind and rain.” She’s one of the two children of Dumangan and Idianale. 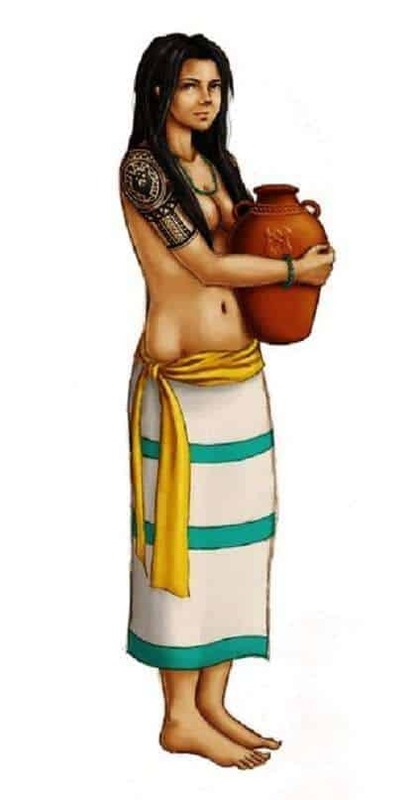 In Zambales, this goddess was known as Aniton Tauo, one of the lesser deities assisting their chief god, Malayari. Legend has it that Aniton Tauo was once considered superior to other Zambales deities. She became so full of herself that Malayari reduced her rank as a punishment. The Zambales people used to offer her with the best kind of pinipig or pounded young rice grains during harvest season. Sacrifices that made use of these ingredients are known as mamiarag in their local dialect. Dumakulem was the son of Idianale and Dumangan, and brother of wind goddess Anitun Tabu. The ancient Tagalogs revered him as the guardian of the mountains. He is often depicted as a strong and skillful hunter. This Tagalog sky-god later tied the knot with another major deity, Anagolay, known as the goddess of lost things. The marriage produced two children: Apolaki, the sun god, and Dian Masalanta, the goddess of lovers. Before planting in a new field, the ancient Tagalogs usually offered sacrifices to Lakapati. 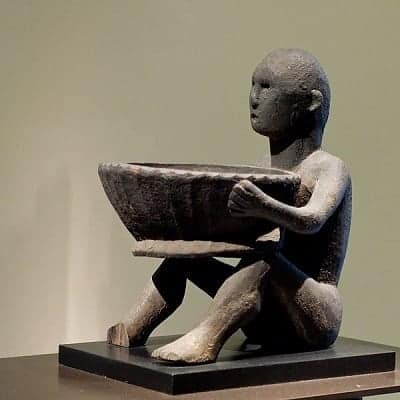 In a 17th century report by Franciscan missionary Father Pedro de San Buenaventura, it was said that a farmer paying homage to this fertility goddess would hold up a child before saying “Lakapati pakanin mo yaring alipin mo; huwag mong gutumin” (Lakapati, feed this thy slave; let him not hunger). Being the kindest among the lesser deities of Bathala, Lakapati was loved and respected by the people. She married the god of seasons, Mapulon, and became the mother of Anagolay, goddess of lost things. In Tagalog mythology, Mapulon was the god of seasons. F. Landa Jocano, in the book “Outline of Philippine Mythology,” described Mapulon as one of the lesser divinities assisting Bathala. Not much is known about this deity, aside from the fact that he married Ikapati/Lakapati, the fertility goddess, and sired Anagolay, the goddess of lost things. Pre-colonial Tagalogs who were hopelessly looking for their missing stuff prayed to Anagolay, the goddess of lost things. 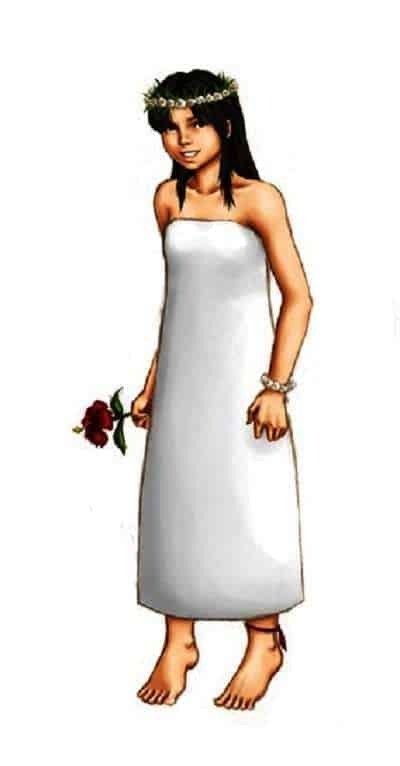 She was the daughter of two major Tagalog deities–Ikapati and Mapulon. When she reached the right age, she married the hunter Dumakulem and gave birth to two more deities: Apolaki and Dian Masalanta, the ancient gods of sun and lovers, respectively. Interesting fact: In September of 2014, the Minor Planet Center (MPC), the international agency responsible for naming minor bodies in the solar system, officially gave the name (3757) Anagolay to an asteroid first discovered in 1982 by E. F. Helin at the Palomar Observatory. Obviously, the asteroid was named after the ancient Tagalog goddess of lost things. The name, submitted by Filipino student Mohammad Abqary Alon, bested more than a thousand entries in a contest held by the Space Generation Advisory Council (SGAC). 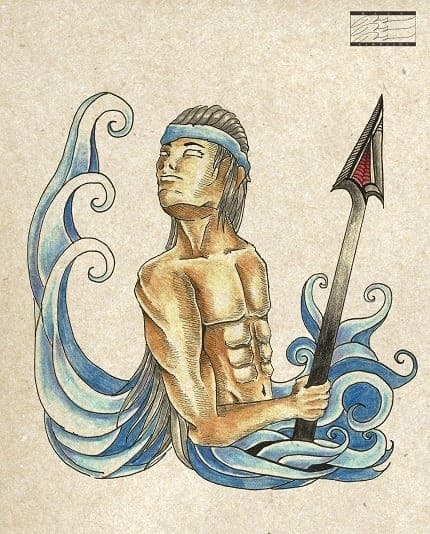 Arguably the Filipino counterpart of the Roman god Mars, Apolaki appeared in several ancient myths. 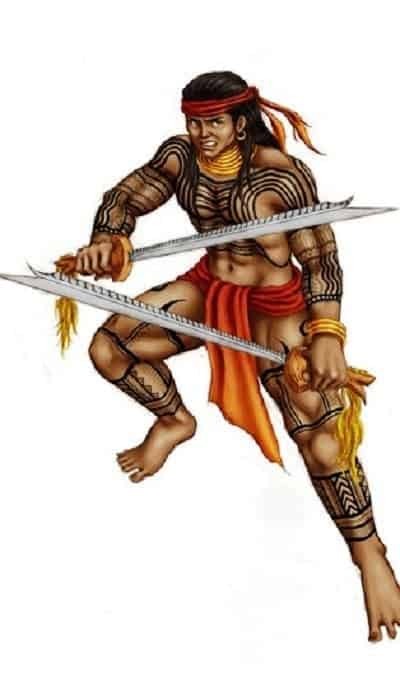 The Tagalogs revered Apolaki as the sun god as well as patron of the warriors. He shares almost the same qualities with the Kapampangan sun god of war and death, Aring Sinukuan. 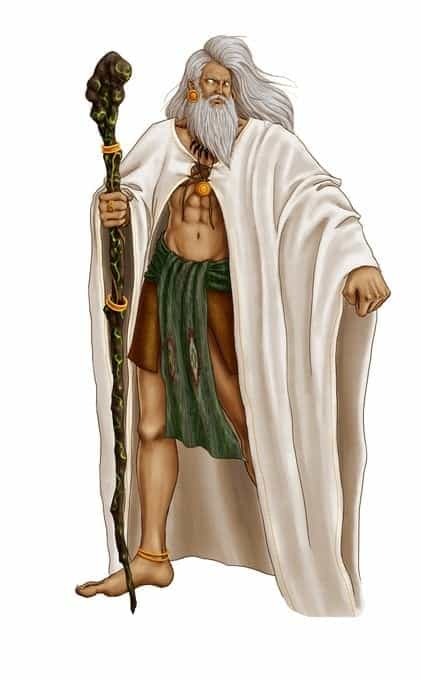 In a book by William Henry Scott, the name of this deity is said to have originated from apo, which means “lord,” and laki, which means “male” or “virile.” Jocano’s Outline of Philippine Mythology details how Apolaki came to be: He was the son of Anagolay and Dumakulem, and also the brother of Dian Masalanta, the goddess of lovers. 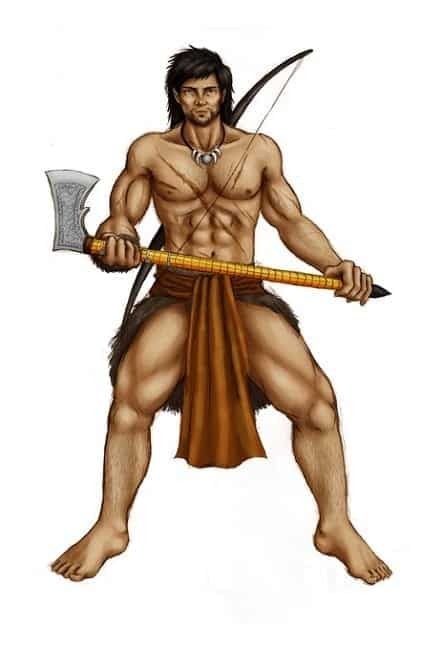 In other stories, however, Apolaki was, in fact, the son of the supreme god of the ancient Tagalogs, Bathala. The book “Philippine Myths, Legends, and Folktales” by Maximo Ramos contains the story of how the sun became brighter than the moon. In the said myth, Bathala sired two children from a mortal woman. He named his son Apolaki and his daughter Mayari. Both children had eyes so bright that they became the source of light for the rest of the world. When Bathala died, Apolaki and Mayari both wanted to succeed their father. A long, bloody argument ensued as neither one of them wanted to give up the throne. The fight reached the boiling point when Apolaki hit Mayari‘s face with a wooden club, blinding her one eye. Cooler heads prevailed, and both agreed to just take turns in ruling the world. Apolaki now occupies the throne during daytime while Mayari, the moon goddess, provides the “cool and gentle light” during nighttime, for she is blind in one eye. If the Greeks had Aphrodite, our Tagalog ancestors had Dian Masalanta. The patron goddess of lovers and childbirth, this deity was the brother of the sun god Apolaki to parents Anagolay and Dumakulem. Sacrifices were offered to Dian Masalanta to ensure successful pregnancies. The same was done for other lesser deities who ruled specific domains, like Mankukutod, the protector of coconut palms who could cause accidents if the offering was not made. Haik, the sea god, was honored by sea travelers for a safe and successful voyage, while Uwinan Sana, the forest deity, was acknowledged so that anyone who entered his “property” wouldn’t be punished for trespassing. 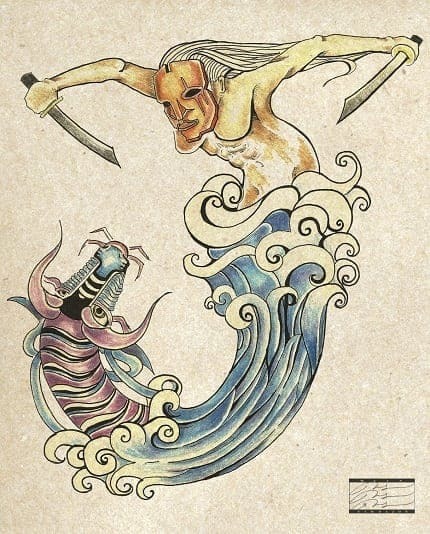 Depending on what book you read, Amanikabli (Amanikable or Aman Ikabli in other sources) could either be the ancient Tagalog patron of hunters or god of the sea. In the book Barangay by William Henry Scott and the 1936 Encyclopedia of the Philippines by Zoilo Galang, Amanikabli was identified as the Tagalog anito of hunters who rewarded his worshipers with a good game. The chief protector of the sea, on the other hand, was Aman Sinaya (or Amanisaya in other references), who “gave his devotees a good catch.” In the same book by William Henry Scott, Aman Sinaya was described as the deity called upon by believers “when first wetting a net or fishhook.” He was also identified as the father of Sinaya who invented the fishing gear. The works of anthropologist F. Landa Jocano beg to differ. According to his relatively more modern version, Amanikabli was one of the lesser deities assisting Bathala in Kawalhatian. He was described as “the husky, ill-tempered ruler of the sea,” whose hatred towards mankind started when a beautiful mortal woman, aptly named Maganda, rejected his love. Once upon a time, Bathala fell in love with a mortal woman. She died after giving birth to three beautiful daughters. Of course, Bathala didn’t want anything bad to happen to his girls so he brought all three of them to the sky to live with him. 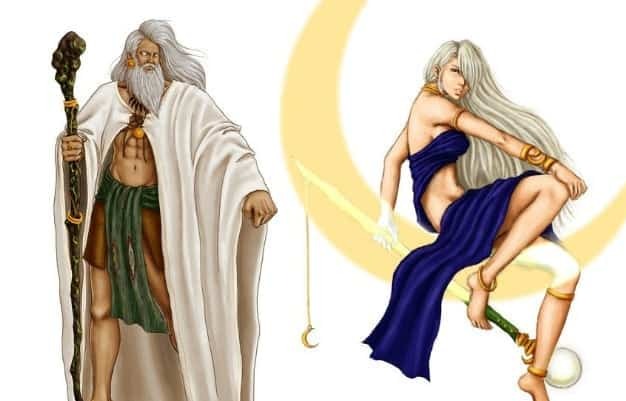 Before long, these three demigods were given specific roles: Mayari, Hana (or Hanan in other references), and Tala became the Tagalog goddesses of the moon, morning, and star, respectively. F. Landa Jocano’s Outline of Philippine Mythology gave a flattering description of the moon goddess: She was the “most beautiful divinity in the court of Bathala.” In other Luzon myths, however, the moon deity was anything but a beautiful goddess. One Pangasinan myth tried to explain the origin of the sun, moon, and the stars. The story started with an all-powerful god called “Ama” giving a fiery palace to each of his two sons: Agueo (“sun”) and Bulan (“moon”). With their palaces, these two gods would pass across the world every day to provide light to the people. Agueo and Bulan are comparable to the Bible’s Cain and Abel. Between the two, Bulan was the mischievous one. When he overheard a group of thieves wishing for darkness so they could steal and wreak havoc to mankind, Bulan was thrilled. He then asked his brother, Agueo, to quickly leave the earth so his evil friends could do their business. When Agueo refused, a heated argument took place. Aware of everything that happened, Bathala was furious at Bulan. From his abode in the sky, he “seized an enormous rock and hurled it whistling through the air.” It hit Bulan‘s palace, breaking it into pieces. The flickering fragments became the stars. Bulan had since been banned from joining his brother in circling around the world. He still lives in a fiery palace, but its dim light is only enough to guide the thieves during nighttime. Mayari, Tala, and Hana. Original illustration by Maria Angela C. Simbajon (Contact No. : 09274589350). The artist grants FilipiKnow the EXCLUSIVE license to display the artwork. You are not allowed to re-post this on your blog, social media account, or any other media without her permission. Another Mayari story appeared both in Maximo Ramos’ “Philippine Myths, Legends, and Folktales” and Dean S. Fansler’s “Filipino Popular Tales.” According to this myth from Pampanga, Mayari was the sister of the sun god, Apolaki, and both of them were gifted with bright eyes which served as a light for the whole world. When their father died, the siblings argued on who deserved to take the throne. The fight ended up with Mayari blinded in one eye after Apolaki hit her with a bamboo club. Burdened by guilt, the sun god finally agreed to just share the leadership with her sister. Apolaki soon became the “sun” who provides warm light during the day, while Mayari (or the “moon”) rules every night with a cooler and dimmer light due to her blindness. Lakambakod. Original illustration by Maria Angela C. Simbajon (Contact No. : 09274589350). The artist grants FilipiKnow the EXCLUSIVE license to display the artwork. You are not allowed to post this on your blog, social media account, or any other media without her permission. 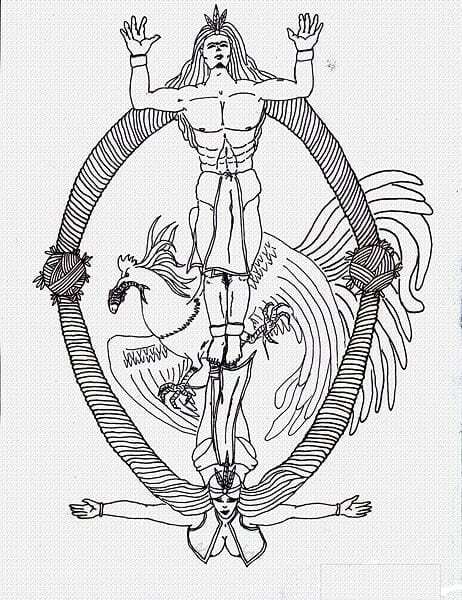 Not all deities of Philippine mythology lived in the sky with Bathala. 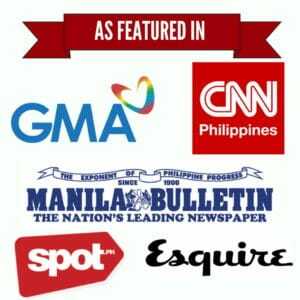 Some of them co-existed with the ancient Tagalogs and were easily invoked during religious ceremonies headed by a catalonan. Spanish lexicographers called these supernatural beings anito, Bathala‘s agents who were assigned specific functions. Three of the most interesting minor deities actually had names that rhyme together: Lakanbakod, Lakandanum, and Lakambini. Lakanbakod was the “lord of fences,” a protector of crops powerful enough to keep animals out of farmlands. Hence, he was invoked and offered eels when fencing a plot of land. Lakambini was just as fascinating. Although the name is almost synonymous with “muse” nowadays, it was not the case during the early times. Up until the 19th century, lacanbini had been the name given to an anito whom Fray San Buenaventura described as “diyus-diyosang sumasakop siya sa mga sakit sa lalamunan.” In simple English, this minor deity was invoked by our ancestors to treat throat ailments. Lakandanum. Original illustration by Maria Angela C. Simbajon (Contact No. : 09274589350). The artist grants FilipiKnow the EXCLUSIVE license to display the artwork. You are not allowed to post this on your blog, social media account, or any other media without her permission. Among the ancient Kapampangans, Lakandanum was known as the water god depicted as a serpent-like mermaid (naga). Before the Spaniards arrived, they would often throw livestock to the river as a peace offering for Lakandanum. Failure to do so resulted in long periods of drought. Every year during the dry season, the natives would make sacrifices for the water god to give them rain. And when the rain started pouring, they would take it as a cue that Lakandanum had returned, and everyone would be in a festive mood. In fact, the old Kapampangan new year called Bayung Danum (literally means “new water”) started as a celebration in honor of Lakandanum. When Christianity came into the picture, it was converted into the feast of St. John in Pampanga and feast of St. Peter in other areas. In some Tagalog creation myths, Bathala was not the only deity who lived in the universe before humanity was born. 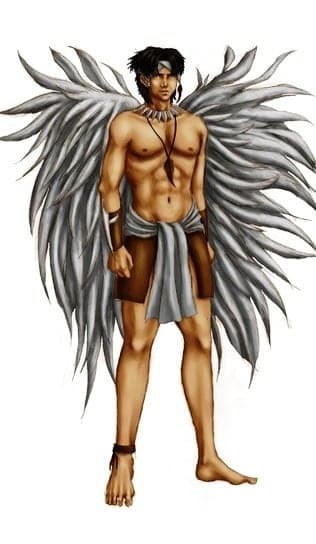 He shared the space with two other powerful gods: the serpent Ulilang Kaluluwa (“orphaned spirit”) who lived in the clouds and the wandering god aptly named Galang Kaluluwa. Ulilang Kaluluwa wanted the earth and the rest of the universe for himself. Therefore, when he learned of Bathala who was eyeing for the same stuff, he decided to fight. After days of non-stop battle, Bathala became the last man standing. The lifeless body of Ulilang Kaluluwa was subsequently burned. A few years later, Bathala and Galang Kaluluwa met. The two became friends, with Bathala even inviting the latter to stay in his kingdom. But the life of Galang Kaluluwa was cut short by an illness. Upon his friend’s request, Bathala buried the body at exactly the same spot where Ulilang Kaluluwa was previously burned. Soon, a mysterious tree grew from the grave. Its fruit and wing-like leaves reminded Bathala of his departed friend, while the hard, unattractive trunk had the same qualities as the evil Ulilang Kaluluwa. The tree, as it turned out, is the “tree of life” we greatly value today–the coconut. Such was the importance of the coconut tree that when Bathala decided to create the first man and woman, he built a house for them using its trunk and leaves. As for their daily sustenance, the coconut’s juice and its succulent white meat proved to be nourishing. It didn’t take long before they discovered more of the tree’s hidden gifts: Its leaves could turn into good mats or brooms while the fiber could become sturdy ropes, among other things. Haliya, the masked moon goddess of ancient Bikol. Original illustration by Maria Angela C. Simbajon (Contact No. : 09274589350). The artist grants FilipiKnow the EXCLUSIVE license to display the artwork. You are not allowed to post this on your blog, social media account, or any other media without her permission. 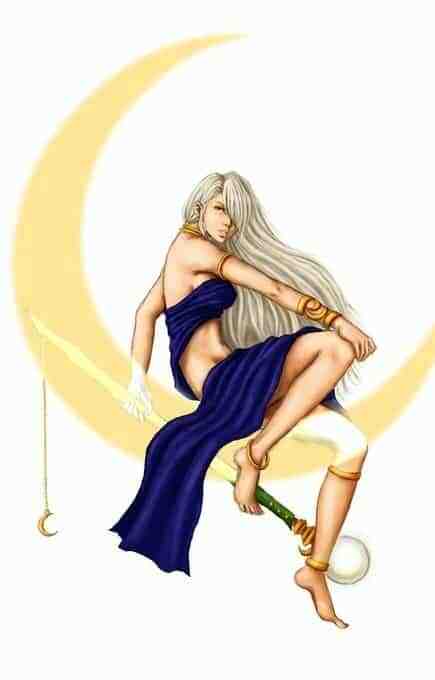 Haliya is the moon goddess of Bicolano mythology who periodically comes down to earth to bathe in its waters. Legend has it that the world used to be illuminated by seven moons. The gigantic sea serpent called bakunawa, a mythical creature found in the early Bicolano and Hiligaynon culture, devoured all but one of these moons. In some myths, the remaining moon was saved after the gods came to the rescue and punished the sea monster. Another story suggests that Haliya was the name of the last moon standing, and she spared herself from being eaten by making noises using drums and gongs–sounds that the bakunawa found repulsive. 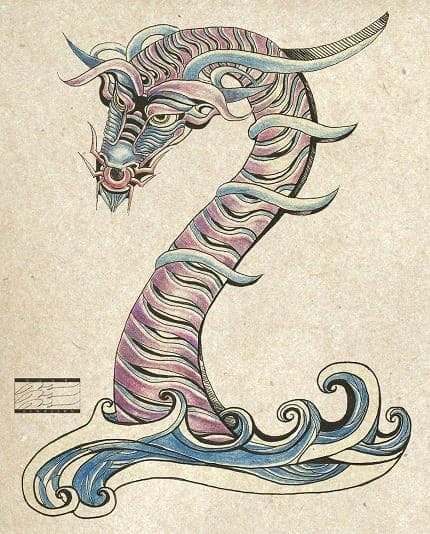 Bakunawa. Original illustration by Maria Angela C. Simbajon (Contact No. : 09274589350). The artist grants FilipiKnow the EXCLUSIVE license to display the artwork. You are not allowed to post this on your blog, social media account, or any other media without her permission. Pre-colonial Filipinos blamed the bakunawa for causing the eclipse. Its name, which literally means “bent serpent,” first appeared in a 1637 dictionary by Fr. Alonso de Mentrida. Bakunawa was deeply embedded in our ancient culture that by the time Fr. Ignacio Alcina penned his 1668 book Historias de las Islas e Indios de las Bisayas, the name of the sea serpent was already synonymous with the eclipse. Believing that an eclipse was actually a bakunawa attempting to swallow the moon, ancient Visayans tried to ward off the monster by creating sounds. They did this by striking the floors of their houses or by beating cans, drums, and the like. In a way, our Tagalog ancestors already believed in the afterlife even before the colonizers introduced us to their Bible. One proof is the pre-colonial custom of burying the dead with a pabaon, which could be in the form of jewelry, food, or even slaves. The modern-day heaven and hell also had ancient counterparts. Jocano said that the early Tagalogs believed good guys would go to Maca, a place of “eternal peace and happiness.” The evil sinners, on the other hand, were thrown into the “village of grief and affliction” called Kasanaan/Kasamaan. The Kasanaan is a place of punishment ruled by Sitan, which shares striking similarities with Christianity’s ultimate villain, Satan. However, Jocano said that Sitan was most likely derived from the Islamic ruler of the underworld named Saitan (or Shaitan). This suggests that the Muslim religion already had a grip to our society way before the Spaniards arrived. Just like Bathala, the vicious Sitan was also assisted by other lesser deities or mortal agents. First was Mangagaway, the wicked shapeshifter who wore a skull necklace and could kill or heal anyone with the use of her magic wand. She could also prolong one’s death for weeks or even months by simply binding a snake containing her potion around the person’s waist. Mansisilat was literally the home-wrecker of Philippine mythology. As the goddess of broken homes, she accepted it as her personal mission to destroy relationships. She did this by disguising herself as an old beggar or healer who would enter the homes of unsuspecting couples. Using her charms, Mansisilat could magically turn husbands and wives against each other, ending up in separation. Equally frightening were Hukluban and Mankukulam. 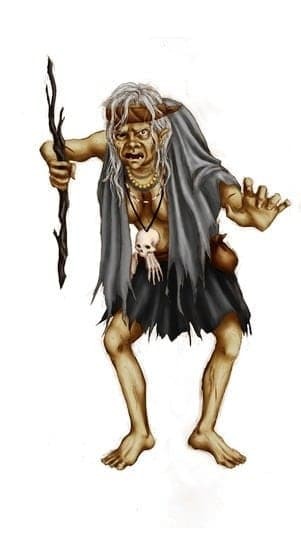 In William Henry Scott’s Baranggay, the former was described as “the most powerful kind of witch, able to kill or cause unconsciousness simply by greeting a person.” Jocano added that a Hukluban was also a terrific shapeshifter who could make anything happen–say, burn a house down–by simply uttering it. ← Why is Filipino spelled with an ‘F’ when the Philippines is spelled with a ‘Ph’?